Harcor Reduce Core Body Temperature Fast! 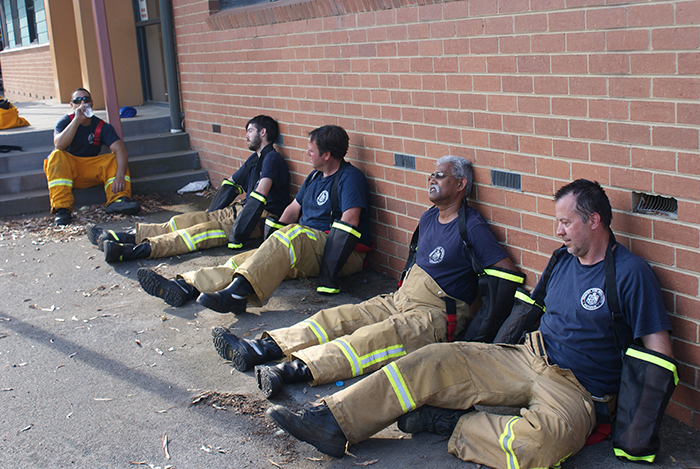 Combat Firefighter heat stress with the only small, compact, low cost and portable Firefighter arm immersion cooling product on the market. Studies have found that forearm immersion in temperate water is more effective in lowering core body temperature than passive cooling, mist sprays or cooling vests. 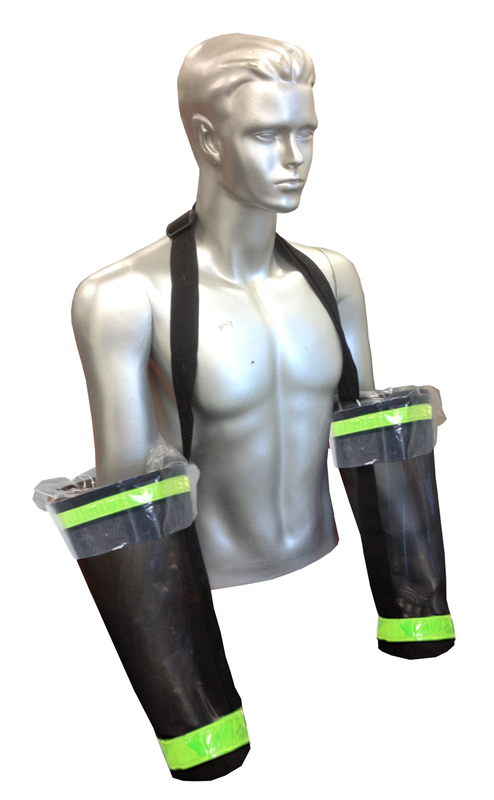 The patented Harcor Arm Cooler Harness has been designed and developed by Firefighters for Firefighters. The small and compact design of the Harcor Arm Cooler Harness means Firefighters can reduce their core body temperature almost anywhere, at a staging area, on the fire ground, in any urban or rural situation. Forearm and hand submersion method proves to be the best. Numerous studies from around the world including Australia, Canada, US and the UK, show the significant advantage of arm cooling over ice packs, cooling vests, misting and other forms of passive cooling. Extremely small and compact when rolled up and folded away. Requires minimal space on fire fighting appliances. Can be used almost anywhere, sitting in a chair and leaning up against a wall, a tree, etc. The unique design on the main strap enables the harness to fit or hang onto many types of fold away camping type chairs. Ideal for rural fire fighters, on the fire ground, when rehab breaks are taken, etc. • Reinforced base resists wear and tear. Padded neck strap. • Adjustable webbing strap allows the harness to be adjustable to anyones size. Easy to install and remove plastic bags, providing a hygienically clean harness after each use. Hi Vis reflective strips make the harness visible at night. Proven to be the best cooling method!